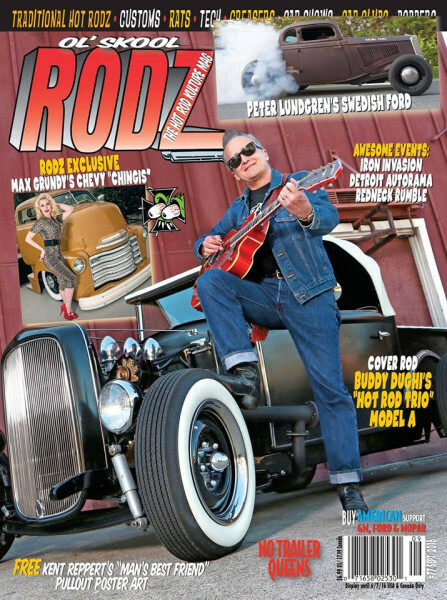 Produktinformationen "OL' SKOOL RODZ Issue 77"
Ol' Skool Rodz #77 with the extra-talented Buddy Dughi and his Model A roadster pickup (and Gretsch guitar) on the cover. Inside you'll find coverage of the Iron Invasion, Detroit Autorama, and Redneck Rumble, plus Peter Lundgren's Ford coupe from Sweden, Max Grundy's COE "Chingis" and Kent Reppert's pull-out poster. Weiterführende Links zu "OL' SKOOL RODZ Issue 77"
Kundenbewertungen für "OL' SKOOL RODZ Issue 77"